Feminine and pretty this pastel pearl pendant captures 1950s classic elegance. 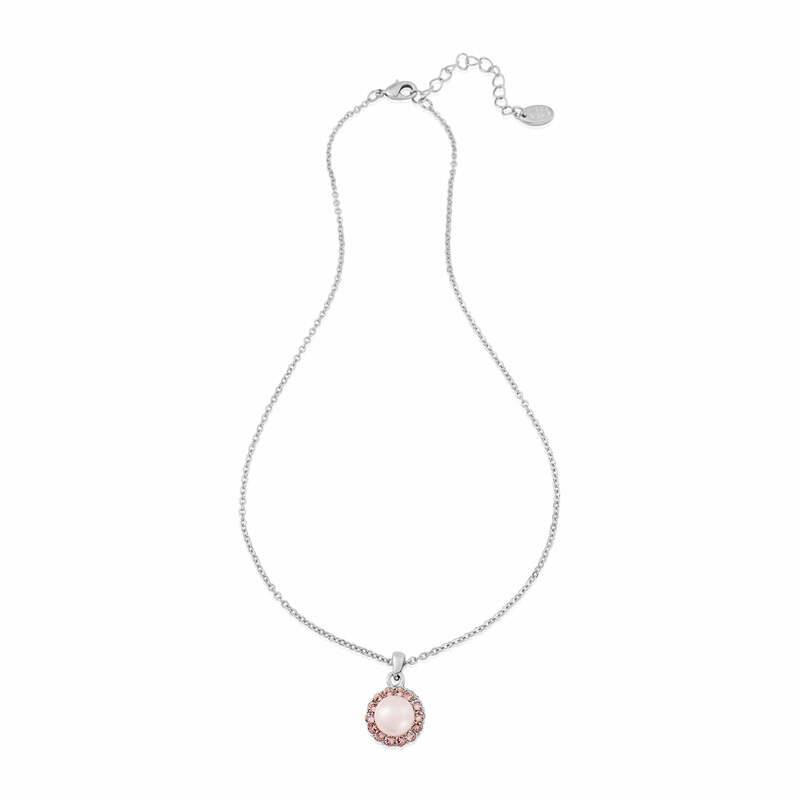 Dress your bridal party with these sorbet coloured necklaces. Delicate pastel shades are always so enticing and conjure up the most beautiful images of Spring and Summer days. Both romantic and feminine, our Misty Rose Pendant will certainly not disappoint. 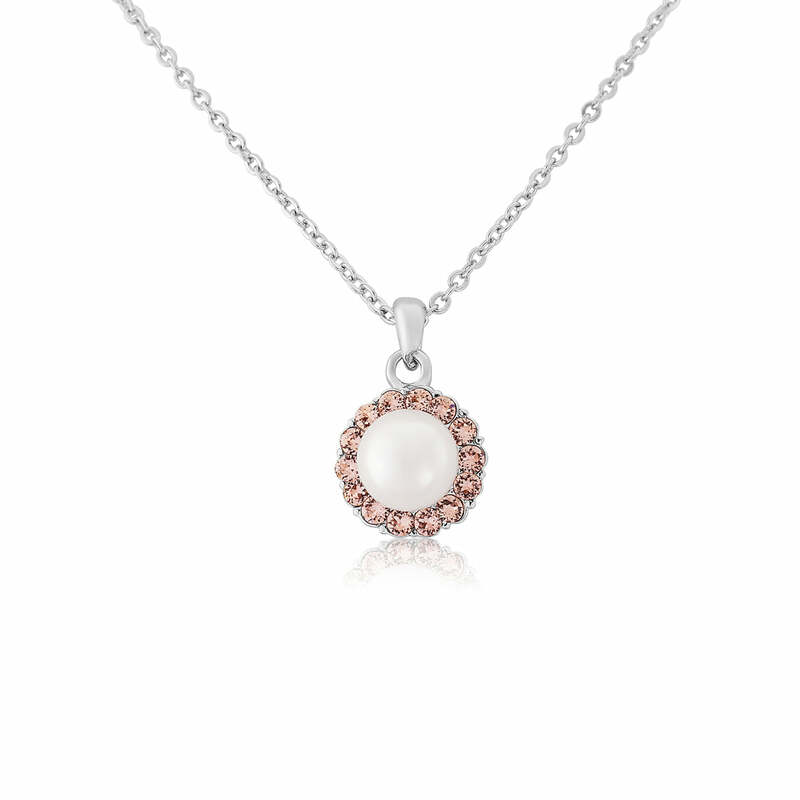 Featuring a pale light rose pearl encircled by dainty vintage pink Austrian crystals this gorgeous pendant hangs on a fine silver tone chain. Oozing a retro vibe whilst capturing a classic beauty, this pretty pink pendant will dress up an array of styles from a 1950s full skirt to the most elegant of ball gowns. Team with our Misty Rose hair accessories and coordinating earrings and you will certainly dazzle whatever the occasion. The perfect choice for a pink wedding theme, this stunning collection of pink wedding accessories will accessorise both the bride and bridesmaids with dreamy pastel prettiness. Add bouquets of pale pink roses and your guests will be mesmerised by the elegance of your awe-inspiring style.